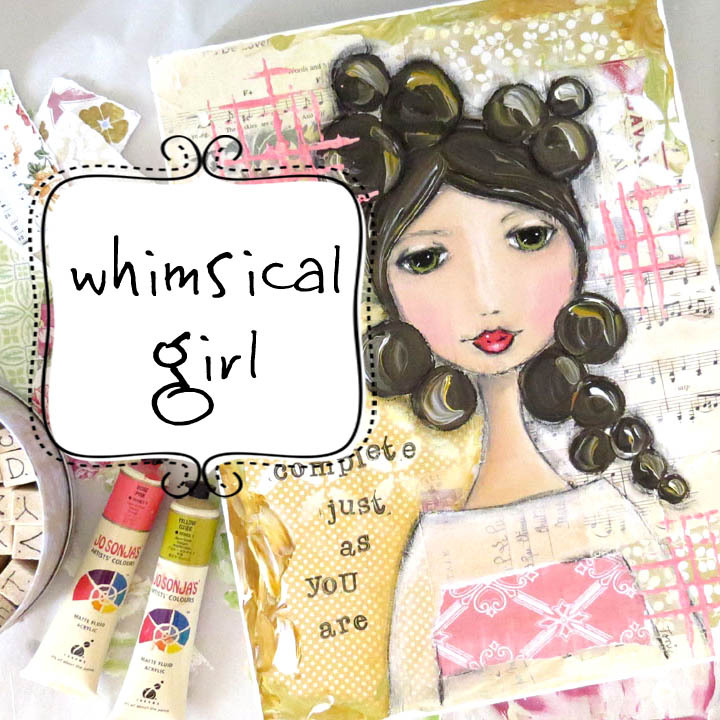 In this self paced class you will learn to create step-by-step this adorable whimsical girl. We will cover backgrounds, choosing papers and colours, drawing painting and detailing our girl! 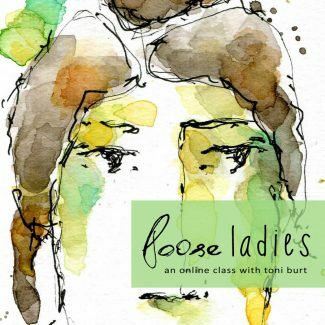 This is a self-study class that was originally filmed for Let’s Face It – 2016 – hosted by Kara Bullock. 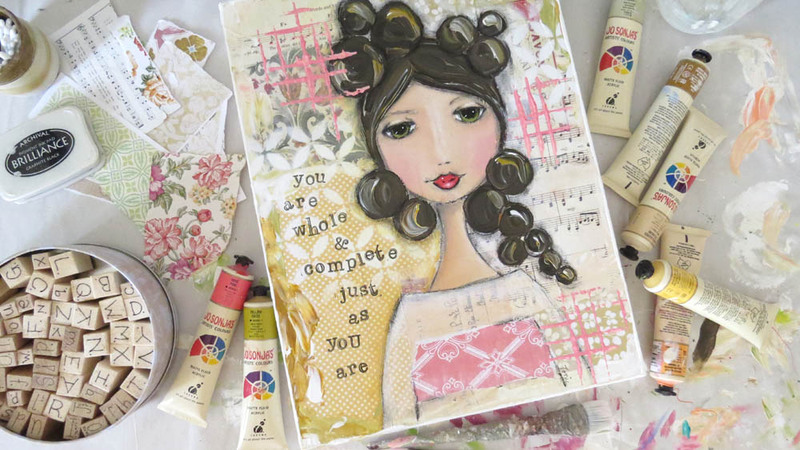 In this class you will be guided through the creation of 3 backgrounds using mixed media, paper and paint, I also discuss in detail how to choose colours and papers, and show you examples with several other whimsical girl artworks. We will then use one of those backgrounds to create our whimsical girl. 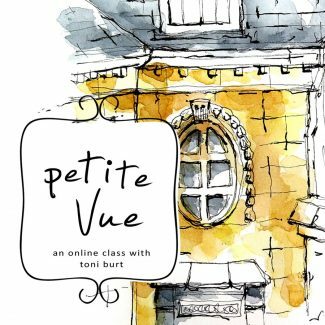 You will learn all the techniques for sketching and painting the face, styling her dress, adding words and more! You will receive around 3 and a half hours of full-length videos that will walk you step-by-step through the process of creating your girl, along with a pdf that you can print out. The cost for this class is $21 US. 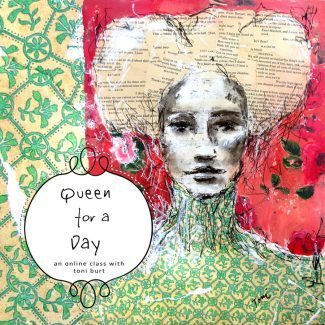 This is a beginners to intermediate class incorporating basic mixed media techniques and simple sketching. It is a work at your own pace class. You will gain access to several hours of video in which I walk you through various mixed media and sketching techniques. 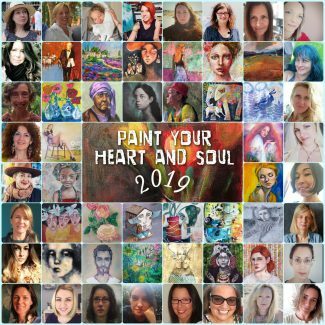 This class includes a step by step pdf document of the process we follow as well as links to my Pinterest reference boards.